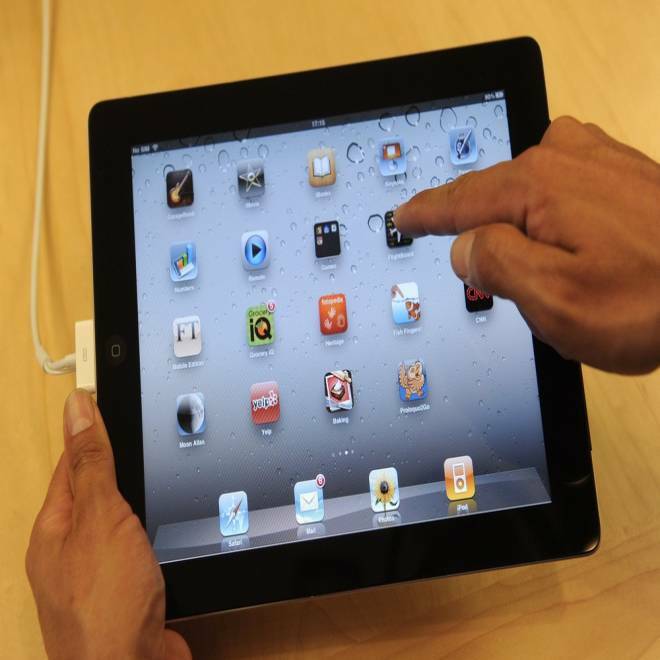 A online Sears ad that mistakenly advertised the 16-gigabyte, Wi-Fi-only iPad 2 for $69 — and got shoppers' hopes up and orders placed — was retracted by the retail giant, which blamed a third-party seller of Apple's popular tablet for an advertising typo. That model iPad 2 is normally sold for $744.99 by the third-party seller, GSM On Sale. "They should honor those prices and eat their mistake," fumed Linda Tanner on Facebook, where hundreds of others weighed in, responding to Sears' statement on the social networking site about the ad goof. "Unfortunately ... one of the Marketplace third party sellers told us that they mistakenly posted incorrect pricing on two Apple iPad models on the Marketplace portion of the website," Sears said on its Facebook page. "If you purchased either of these products recently, your order has been cancelled and your account will be credited. We apologize for any inconvenience this may have caused." The other model of iPad 2 that had been listed by GSM On Sale was a 32 GB, Wi-Fi version for $179. Still, with tablets high on the list of some parents and students starting their back-to-school shopping, consumers were frustrated. GSM On Sale, as well as third-party sellers in general, were skewered on Sears' customer review page over the weekend. "This is just another example of why third party sellers on a retailers website is a bad idea," wrote one customer. "When I go to sears.com I want to be shopping at Sears. It is a name I trusted." Unhappy customers also took to Twitter, where some had initially posted the news Friday that $69 iPads were available. GSM On Sale's website appeared to be out of commission Sunday. "Our online store is currently closed for maintenance. Please visit us again soon," was the brief message on the site. Not everyone was angry about the pricing error. Some had a more measured view. "This goes to show that the Customer is NOT always right," wrote Rachel Jiménez on Facebook. "The Customer — as witnessed in a lot of entries here — may only have THEIR OWN best interest in mind. Sears may be a big company, but it's not fair to cheat them out of a profit because of a mistake like this."